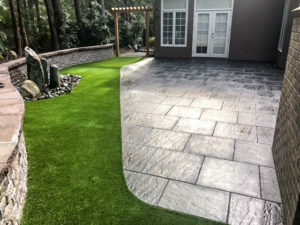 Now is the perfect time to have Synthetic Turf installation done on your next artificial lawn project. With Synthetic Turf you are choosing to embrace a greener world! When choosing to install a synthetic lawn, the only limit is your imagination. We offer professional synthetic turf installation services to highlight your beautiful landscape. 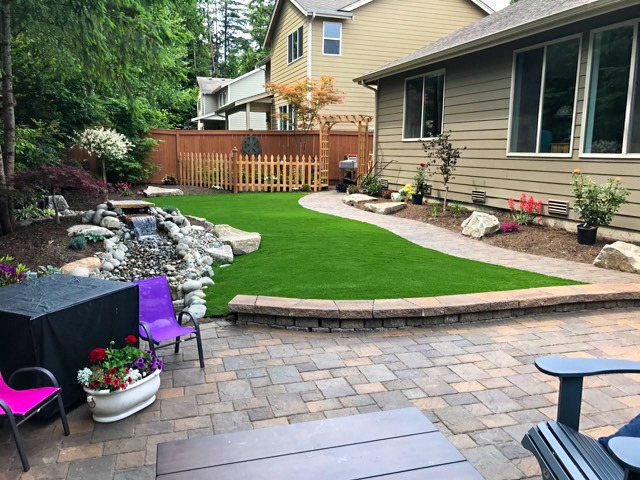 Here are some benefits to installing synthetic turf: no need to water, no maintenance (which saves money and time), it's always green, environmentally friendly, and if need be, it's easier and less expensive to replace. 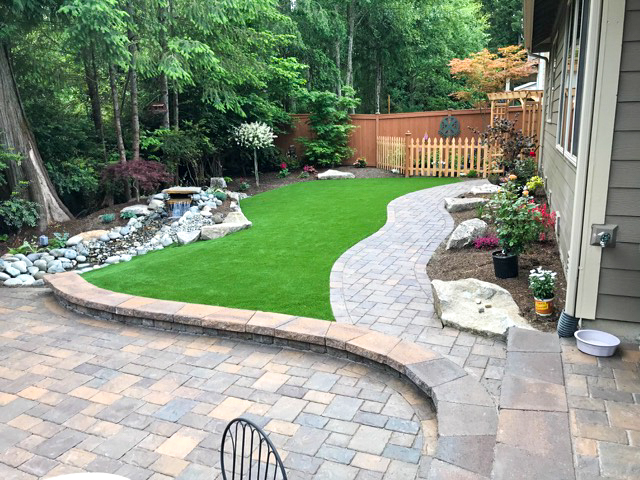 We hope you consider adding Synthetic Turf to your upcoming landscape project with us!